Was this the biggest signing of the summer transfer window? After Real Madrid signed the best player from the Brazil World Cup, James Rodriguez, for over $100 million dollars yesterday, I figured it’d be a great time to discuss some of the most crucial signings that have occurred during the summer transfer window. It’s key to note that Barca have also added Jeremy Mathieu (France/Valencia) for a much needed central defender after Carles Puyol finally closed the curtains on his illustrious Barca career after nagging injuries. For me, the most important signing was James Rodriguez (Colombia/Monaco) for the defending European Cup champions (Real Madrid) since his energy and skills are likely to make an immediate impact when paired with Bale and Ronaldo up top. Besides the Cafetero’s signing for Los Blancos, here are 15 other signings and loans/transfers that are sure to help their clubs right away. 1. Luis Suarez (Liverpool to Barcelona) – The Biter! The Uruguayan star signed for somewhere in the neighborhood of 75-80 million pounds. Unfortunately, he must complete his 4 month ban (from FIFA) for his trying to orally devour Italy’s Giorgio Chiallieni during this past World Cup. In fact, he hasn’t been officially presented yet in Barcelona since it’s against the FIFA ban to do so. Look for one of the World’s top strikers to make an immediate impact and start alongside Neymar and Messi up top for a new look Barca squad that will surely challenge both Madrid teams this year for the La Liga title. 2. Toni Kroos (Bayern Munich – Real Madrid) – The German international had a brilliant World Cup for Jogi Low’s Championship squad and was known as the silent assassin. We heard more about his passes than we did the old Real Madrid player Mezut Ozil who disappointed some and was let go by the Galacticos last year. Kroos said he could have resigned for Bayern Munich (which I’m sure Guardiola would have enjoyed) but felt “los merengues” were a bigger and better club. As a result of the Kroos arrival, Real Madrid could be releasing Khedira and Di Maria. The Kroose reinforcement in the middle to pair with and complement the aging Basque defender Xabi Alonso and newcomers Illaramendi and Modric (last summer) will solidfy things in the middle for RM. This could be money well spent. 3. 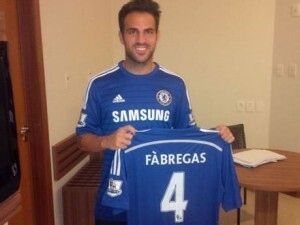 Cesc Fabregas (Barca – Chelsea) – What Mou wants, Mou gets. Cesc certainly flourished in the EPL when he played under Wenger in London for Arsenal. He returned to his hometown Catalan club after winning the World Cup in South Africa (2010) but saw little action in Spain’s flop in Brazil. He’ll be looking for more solid playing time at Chelsea under Mourinho to rejuvenate his career since he never seemed to make it into Tata Martino’s plans at Barca. He may have thought there were too many midfielders at Barca to ever see more playing time and knew EPL teams would come calling. Can Mourinho and the EPL help this Spaniard's career get back on track? 4. Diego Costa (Atletico Madrid – Chelsea) – The naturalized Spaniard with Brazilian roots will bring a more attacking style to Chelsea. With Torres never getting permanent playing time, Eto in the later stages of his career, and Ba parting ways with the Blues, this signing appears to make sense. Even with news of Drogba possibly reuniting with Mou, Costa has a more direct style which may be better utilized in the EPL if he wants to continue the goal scoring ways that made him light up la liga last year for the colchones. 5. Alexis Sanchez (Barca – Arsenal) – The Gunners want to break into the Champions league mix and also challenge for an EPL title this year. With Chelsea and Manchester City looking very balanced and deep, Wenger and company knew that they had to bring in someone young who could score goals. The Chilean leader who harnessed his skills for Barca fell out of favor with fans since he wasn’t a Spaniard nor part of La Masia and was no longer wanted. 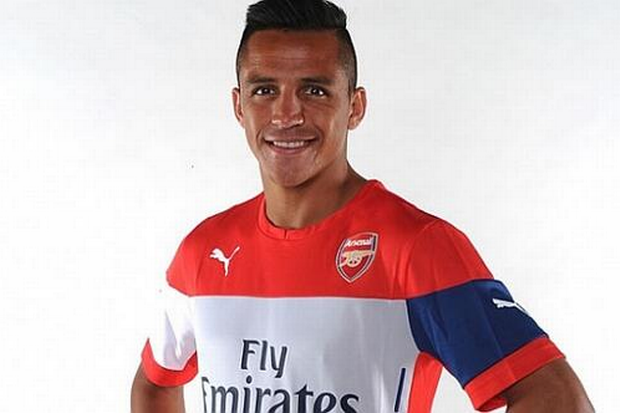 The EPL should be a good place for him and Arsenal is a nice fit for the lad. His World Cup Performance and record in La Liga certainly helped this Chilean superstar get noticed in the British capital and he was no longer wanted at Barca. 6. Mathieu Debuchy (Newcastle United – Arsenal) – The Frenchman should pair nicely in the back with other experienced defenders (Mertesacker, Vermaelen, Koscielny, Monreal, etc) to secure some depth for the Gunners. He played a role in helping les bleus reach the quarters in Brazil and is in the prime of his career after having a solid last year for the magpies. 7. Rio Ferdinand (Manchester United – Queens Park Rangers) – The old man is surely in the last part of his career. At 35 and a lot slower, QPR is surely taking a risk but obviously they still see a lot of skill there. It seems like Redknapp will be trying to lure players to recently promoted QPR to show the promise of the squad with none of Ferdinand’s playing time secured. I think Rio will be happy he wasn’t demoted to the Championship! 8. Michu (Swansea City – Napoli) – Also known as Miguel Perez Cuesta, he had a nice and surprising run with bottom dwellers Swansea City of the EPL the past few years. The Spaniard’s move to Italy will certainly allow his technical abilities to flourish and Napoli will have an option to buy him after the season long move. Meanwhile, Swansea can look to younger players to work up their system. 9. David Luiz (Chelsea – Paris Saint Germaine) – Should we still call him a defender after watching those last two Brazil matches in the World Cup? David Luiz will be happy to get a fresh start at PSG where he should still see plenty of playing time as long as he doesn’t lose his mind like he did with his compatriots. The physical and usually solid defender fell out of favor with Mourinho and sought a greener pasture with Zlatan and company in the ligue. 10. Ander Herrera (Atletic Bilbao – Manchester United) – I remember watching the little basque player for Real Zaragoza 4-5 years ago and being wowed by his composure and swiftness on the ball. He will be a fantastic addition to the red devils midfield and should fit nicely into Van Gaal’s new system where the Manchester club will need to revamp its midfield attack and structure if they expect to compete against the top 4 clubs after a legitimate abomination last year. 11. Cristian Tello (Barca – Oporto) – As is the typical story for La Masia players who try to make their way up the Barca system, sometimes patience runs thin. Tello has seen time on Barca’s first league team but once Guardiola left, the playing time diminished. The young striker must have looked at the depth chart and realized now would be a perfect time to get out and test his skills in the Portuguese league under a Spanish manager (Lopetegui – who knows Tello from Spain youth system), who will certainly give him more playing time. Smart move here. 12. Yann M’Vila (Rubin Kazan – Inter) – The young and aggressive defender who occasionally pushes up will certainly boost an aging backline for the Inter squad. The Frenchman will be on loan for the season and go from there. His physical strength will be fully utilized and displayed in Serie A and as a young player, he’ll certainly gain more recognition than if he had stayed to play this year in Russia. 13. Ivan Rakitic (Sevilla – Barca) – The Croatian starter had an amazing year last year for the Andalusian club Sevilla in La Liga. He’s got World Cup experience and will certainly bolster Barca’s aging midfield to provide some much needed support and distribution. It’s unclear whether he’ll start yet but he could see substantial minutes under new manager Luis Enrique since Sergio Busquets had a horrible World Cup and Xavi will most likely be entering into his last year for the Blau Grana. 14. Iago Aspas (Liverpool – Sevilla) – The Galician Spaniard is a pest and Sevilla are hoping he’ll bring that same mentality to La Liga this year. He’s got experience in La Liga as he built his young career playing for the northern Spain squad of Celta de Vigo. Sevilla have a three year option to buy him after the season long loan. With Rakitic’s departure and perhaps some more international experience looming in the mix, this was a great move by Sevilla to bring on the tiny but speedy striker. 15. Keylor Navas (Levante – Real Madrid) – One of the top keepers from the World Cup. This Tico (and former Levante man) could be the answer to Real Madrid’s keeper problems. With Casillas likely to only stay one more year before finishing out his career in the EPL (according to rumors), it’s assumed that Ancelloti will want a solid and proven man to challenge Casillas and Diego Lopez. But, could Lopez or Casillas be out before the end of the summer? We shall see. If you think someone is missing from this list, please comment below and tell me why. Or, if you disagree with how the players were ranked. As always you can follow up to date news and commentary at timblogssoccer0.